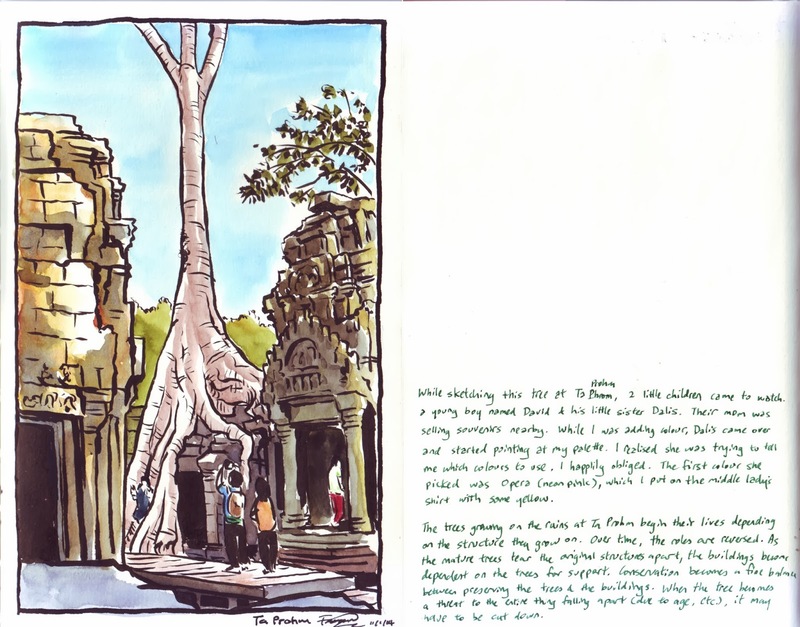 From 9-14 January 2014, four urban sketchers from Singapore went on an adventure to sketch the ruins of Angkor. 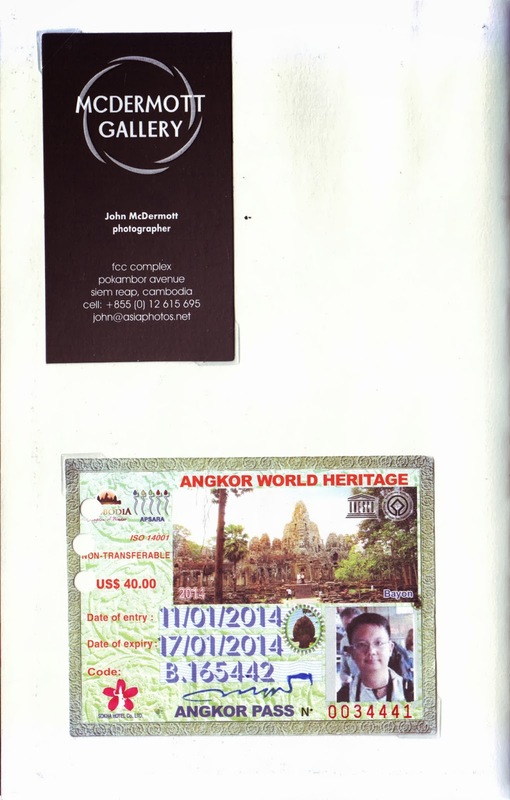 We embarked on a 6-day trip to Siem Reap to see and capture the wonders of the ancient Khmer empire on paper. 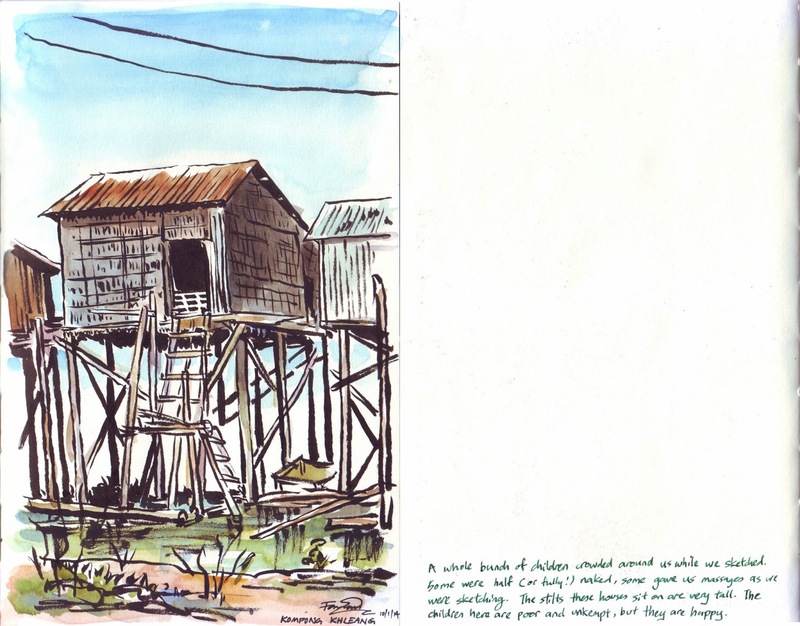 Joining us was a renown Singaporean artist who happened to be there at the same time for a painting trip. 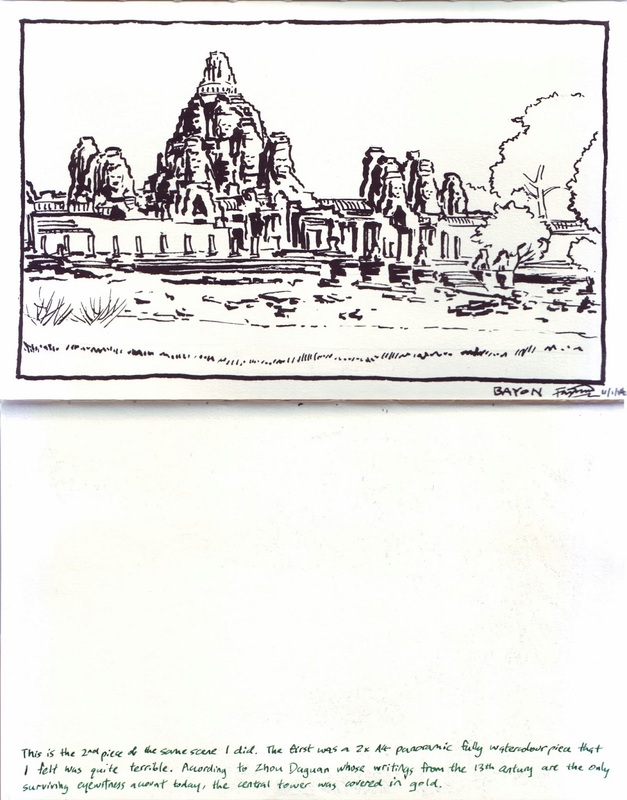 Tung Yue Nang (aka Tungtong) had been to Siem Reap many times over the last decade, and kindly took us around the see the sights of Angkor and the less touristy parts of the Cambodian city. 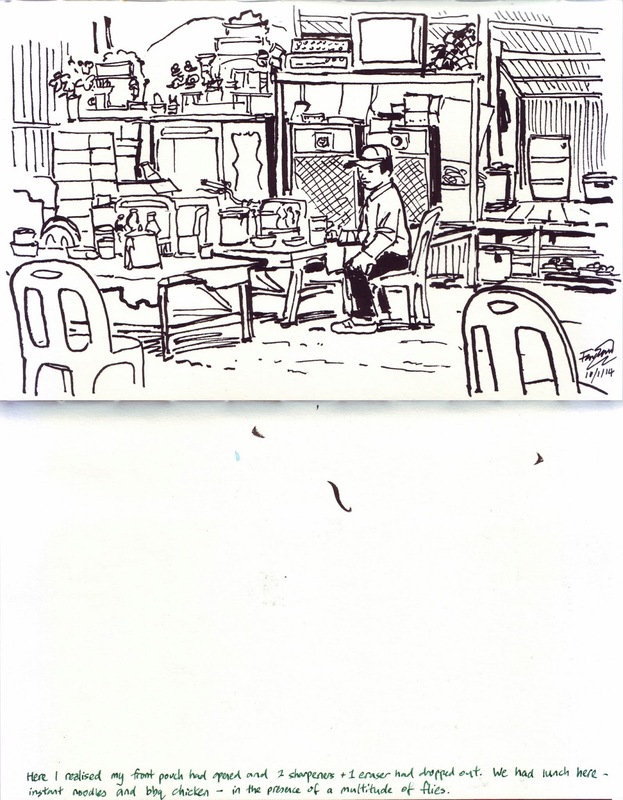 Here is the collection of sketches I did during the trip. 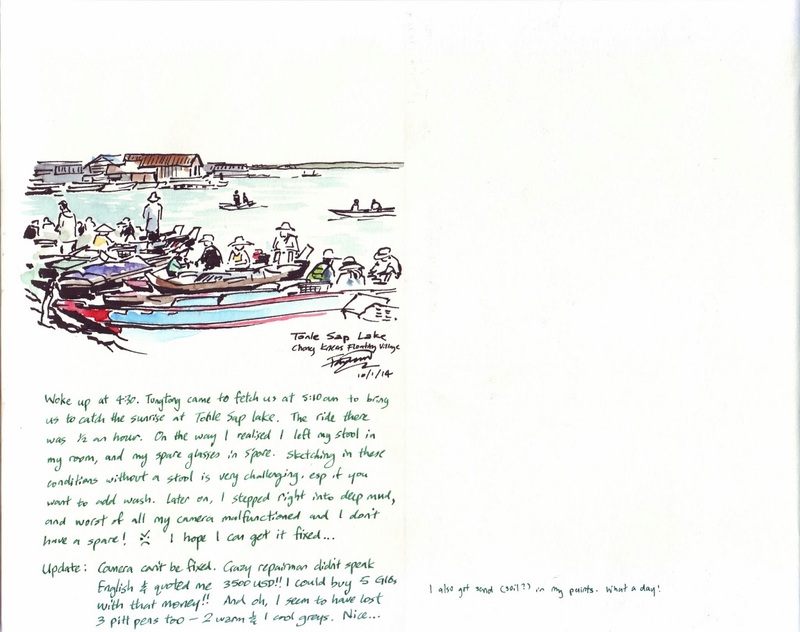 I have done some rearrangement of the pages for this post to make reading easier. 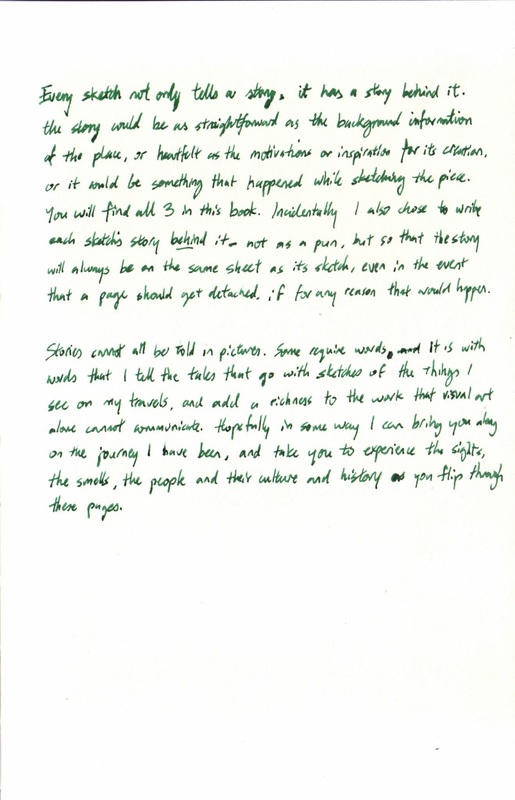 In reality, the commentaries on each of the sketches are written on the reverse side of the page. 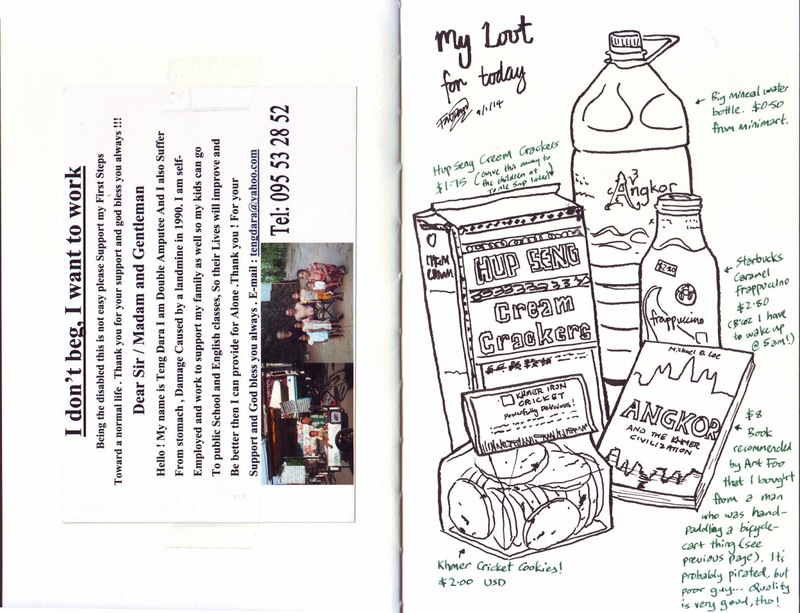 I have rearranged them so that they are shown together with the sketch to avoid confusion. 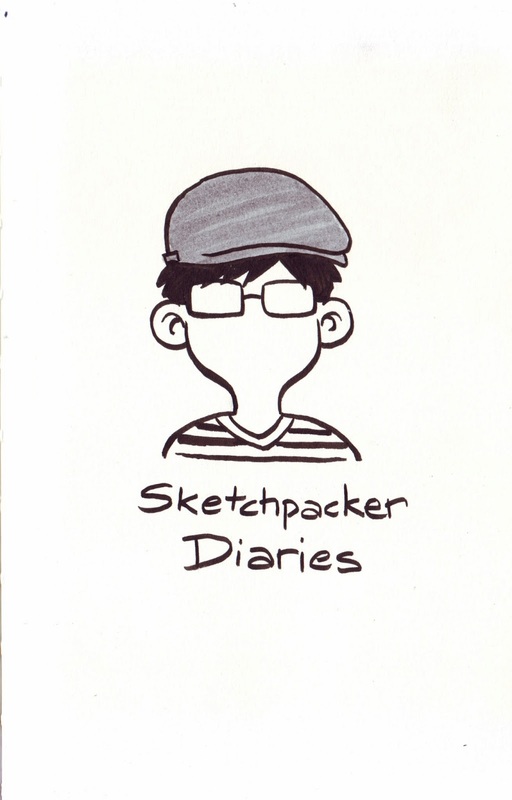 I have split the scans into 2 blog posts. 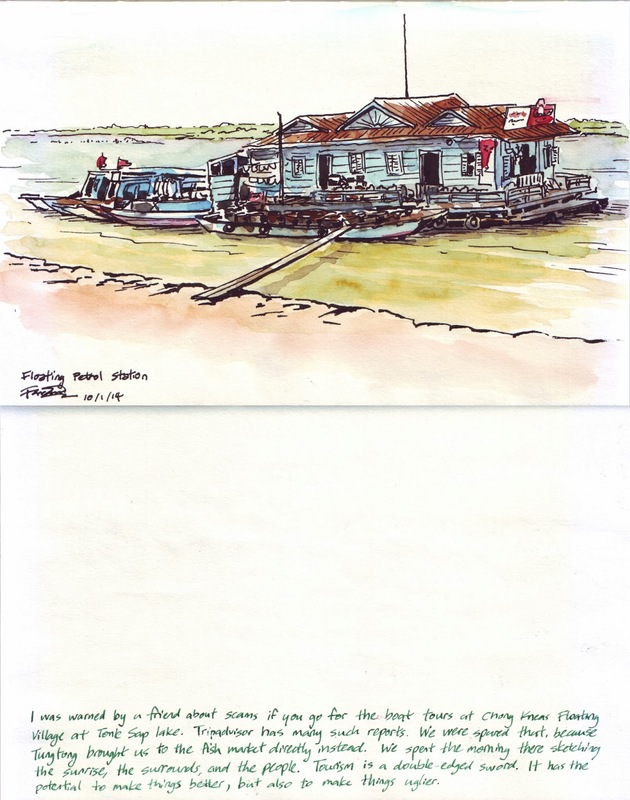 This first part covers the first half of the trip where we visited Tonle Sap lake, Chong Kneas fishing village, Kompong Khleang, Bayon temple, and Ta Prohm. 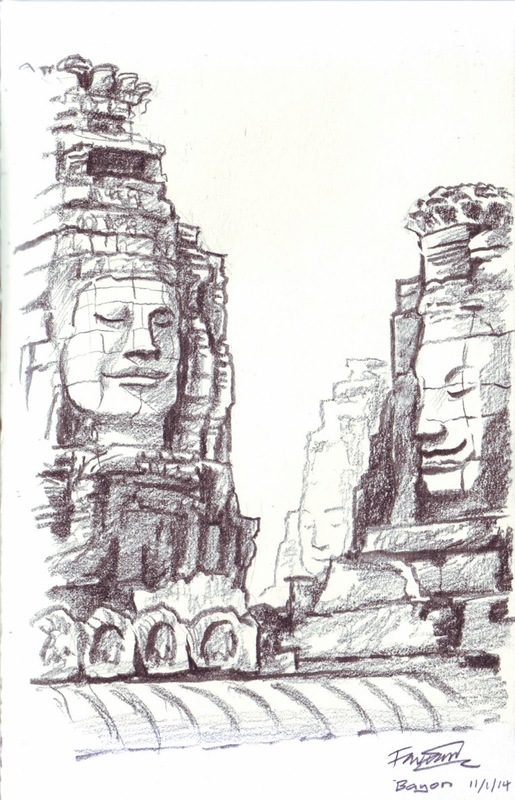 The second post will cover the remaining sketches done at Angkor Wat, Angkor Thom, and Preah Khan. 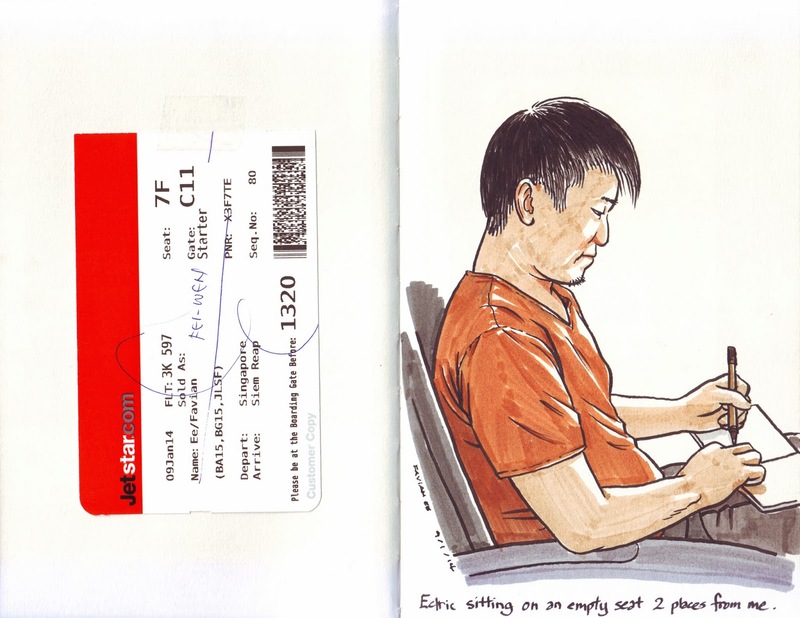 Our flight from Changi Airport was at 1 pm. Tony came to send us off. We arrived at Siem Reap airport at around 3 pm. The airport is very small, and we had to walk from the plane to the arrival lounge. A car was waiting for us to fetch us to Amigo Villa. The driver's name was Sky. 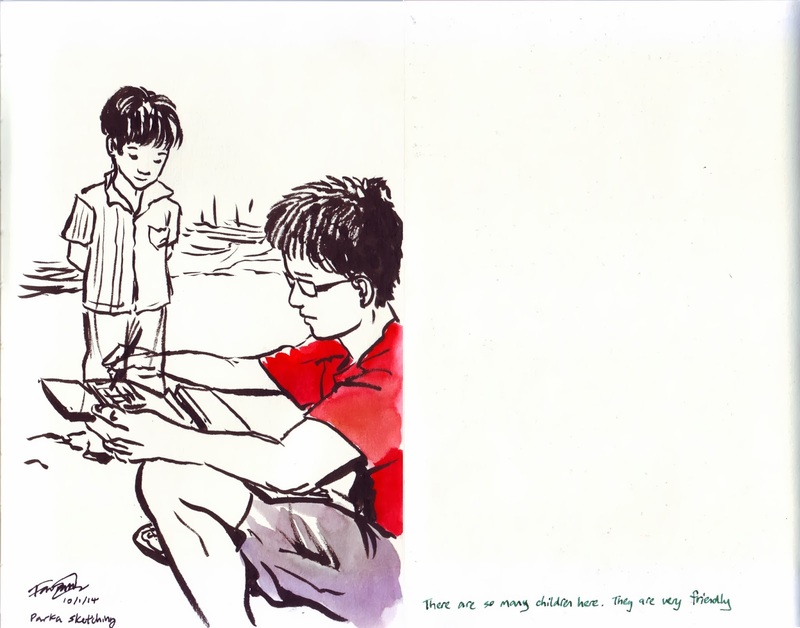 We dropped our things and rested a short while before Tungtong arrived with his bicycle, and took us around the Night Market and Pub Street, then to dinner. 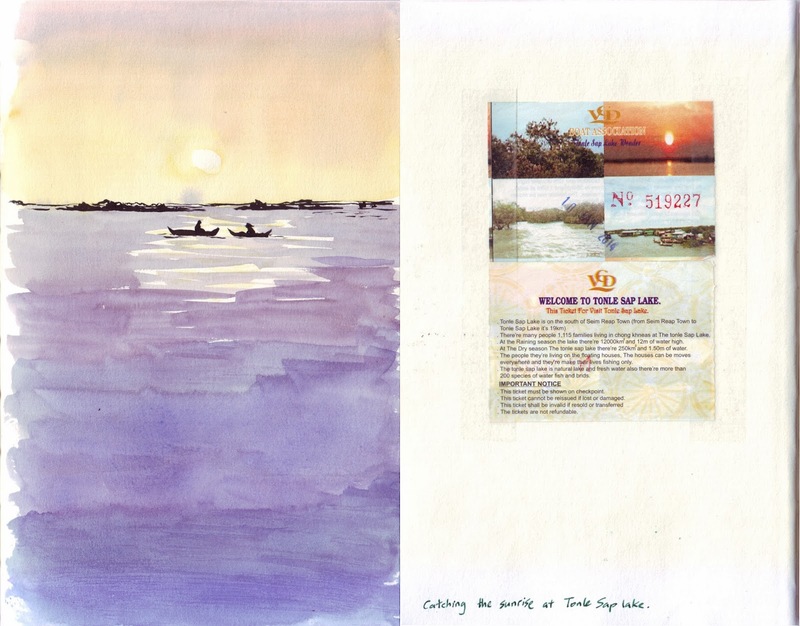 We woke up early to catch the sunrise at Tonle Sap lake. 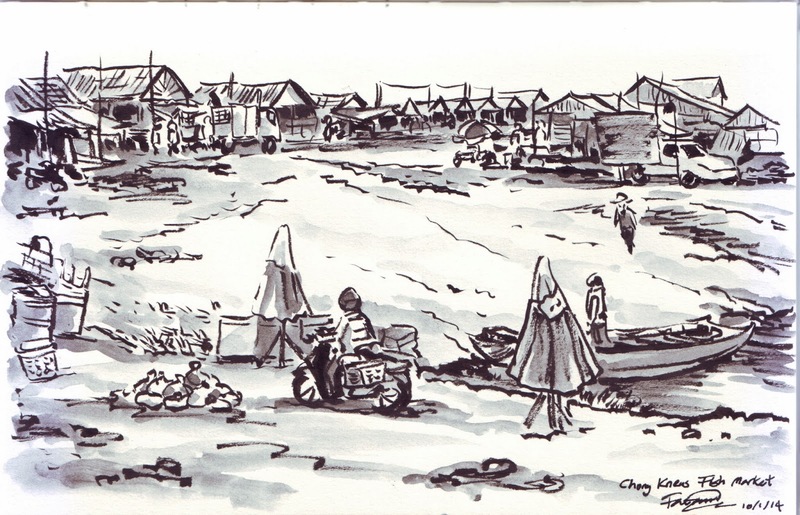 Tungtong came in a tuktuk to fetch us and we headed south to Chong Kneas floating village, where we sketched in the middle of a fishing village and fish "supermarket". It was all open air, muddy, and dusty. It is a harsh land, but the children there seemed happy. 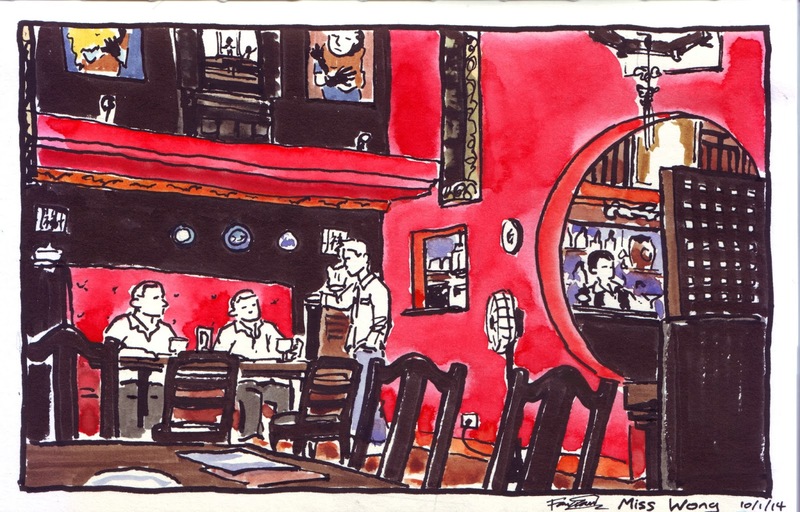 We had brunch there and headed back towards town in the afternoon for some proper lunch. My camera died, and we tried to find a place to get it fixed or get a new one. Fortunately Parka lent me his camera, which I used for the rest of the trip. 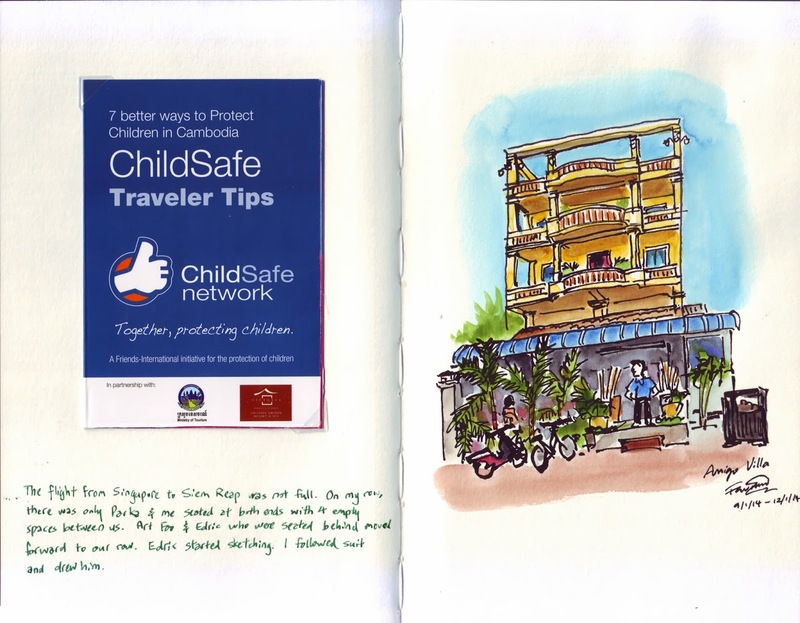 We spent the afternoon and evening back in Siem Reap town. We woke up a bit later and had breakfast at our guesthouse (complimentary) before heading out to Bayon to catch the morning light on the stone faces. 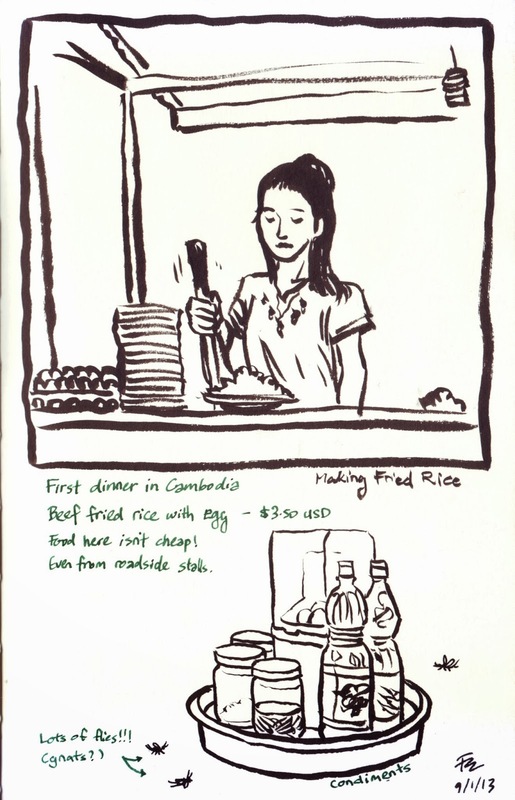 We spent the morning there and had lunch at the Big Tree BBQ nearby in Angkor Thom (Bayon is also in Angkor Thom). 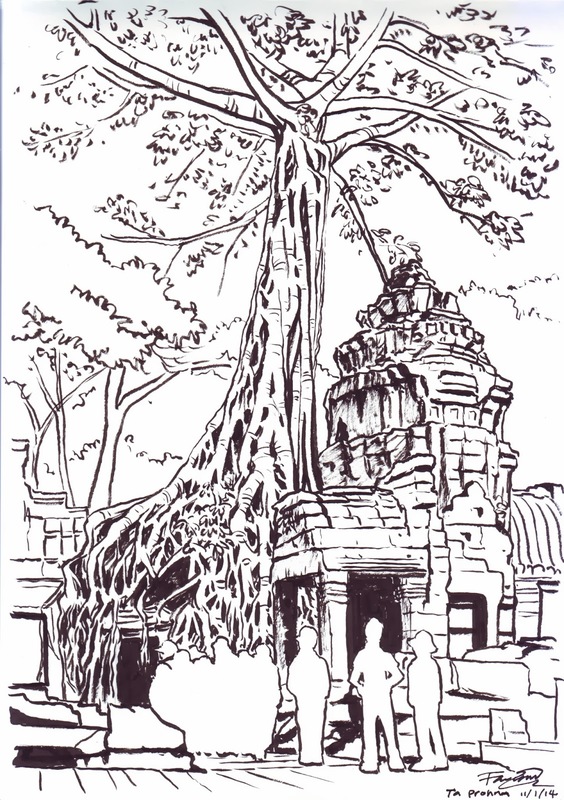 In the afternoon we headed out to Ta Prohm to sketch the trees eating up the buildings.